A reliable Point of Sale (POS) system should be the top priority of all restaurant owners and managers. Nowadays, POS systems are considered the backbone of business. This is especially true for fast food and fine dining, where customers generally prefer paying by credit or debit card. Your POS system helps you handle the cash flow in your restaurant, analyze client data, take inventory, do invoicing, and more. This is why a POS system is crucial to the success of any restaurant. In this review we’re looking at Dinerware, one of the best POS systems for restaurants. It is a reliable, flexible, and smart software solution. Dinerware reduces ordering times, so waiters and waitresses can pay more attention to the customers. This is how Dinerware helps your restaurant make more money, while your customers get quicker service. Dinerware’s mobile POS solutions facilitate payment processing in the fast food and fine dining industries alike. subsequently, faster payments make it easier for restaurant owners and managers to supervise their staff and run their business. Dinerware works equally well for traditional restaurants and mobile food trucks. It features intuitive interface that saves time otherwise wasted on tinkering with POS machines. As a result, restaurant staff can fully focus on pleasing their customers. The software allows managers and their subordinates to conduct business smoothly by giving them quick access to all tools and features they need. For all its complexity, Dinerware is a user-friendly POS system. If you choose to integrate it in your restaurant, you’ll enjoy a seamless transition. Because the required initial training is minimal, you will be able to start using the full potential of POS solution almost as soon as you set it up. Dinerware is a highly adjustable POS solution. You can quickly adapt it to the specific needs of your food business. The system allows users to tweak the software, so that it works best for them and move things around on the interface. Dinerware can be used in bars, restaurants, and on food trucks. 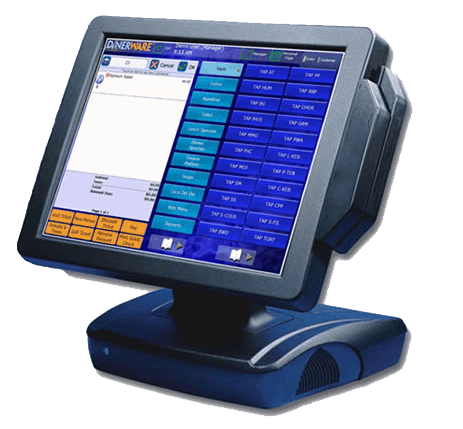 Because Dinerware is compatible with mobile devices such as tablets, waiters have quick access to a reliable POS system. It allows staff to serve customers wherever they are in the restaurant. Thus, they are able to quickly pay their bill and check out with a smile on their faces. Dinerware is property of Heartland Payment Systems, Inc., the fifth largest payment processor in the United States. The company delivers credit, debit and prepaid card processing and security technology through comprehensive breach warranty. Heartland also offers payroll, electronic and mobile commerce and marketing solutions and services to more than 300,000 businesses and educational establishments nationwide. Dinerware’s subscription plans are available upon request. Happy users cheer that the price to performance ratio is outstanding. You can contact the company and ask for a quote. This cloud-based POS software is ideal for establishments of all sizes. It features open API, a robust customer database with emails, recent order history,and delivery, customized reports in labor, sales, menu, product mix and many more. 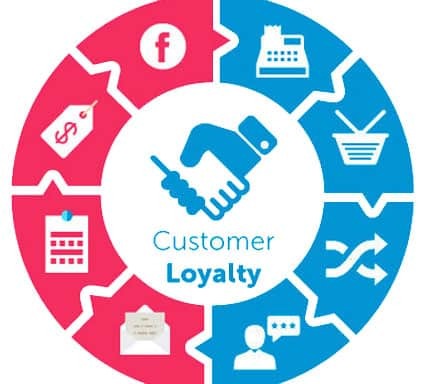 It also boasts a variety of flexible check splitting functions and a custom loyalty program with point rewards. Its independent gift card program is not connected to a payment processor. This POS system combines the flexibility of SQL-based open architecture with the reliability of a Windows operating system. In contrast to many proprietary POS systems, which are based on closed platforms and are difficult to use, Dinerware is written in a universally accessible language. A language that developers and software vendors worldwide can easily understand. As a result, many complementary products and integrations make the system work better. The software is self-explanatory. It is easy to use and easy to grasp. The software font is not aesthetically pleasing. The users of Dinerware can have their own branded mobile ordering app connected directly to the Dinerware POS without any fees and intermediary transactions. Along with other reception functions, Dinerware POS also offers seating charts with table numbers. The customer loyalty feature is what really makes Dinerware stand out in the crowd. It is especially useful to restaurant owners who are working to increase the customer flow to their outlets and make dining out not only convenient, but also rewarding. The gift and loyalty card programs encourage restaurant visitors to come back and make the place one of their favorite dining spots. This solution is particularly useful for independent restaurants that are trying to attract more customers by offering loyalty bonuses. You just buy the gift cards directly from Dinerware. The company prints them out branded with your restaurant’s logo and name. Your restaurant’s gift card will always remind its holder of the nice moments they have enjoyed there. Dinerware features multiple location support and menu setup, which means that you can add as many menu items, choices and screen categories as you want. For example, you can place items into multiple screen categories and reuse modifiers in as many sets as you want. But that’s not all. Dinerware also lets you create custom menus for certain jobs and choose whether modifiers are optional or required. Because item counts and prices are dynamically generated, managers can hide taxes for over the bar transactions, or create tax rules. They can also make promotional discounts, limit discounts by job, or restrict manual discounts. In order to reduce their costs, they can suppress hidden discounts on customer prints, or apply discounts to items and tickets. Restaurant owners and managers can also take advantage of the detailed tracking option and transfer tickets to other users. Relaxing atmosphere is just as important to a restaurant as the classy food served there, and those who often dine out know this very well. With Dinerware, they can enjoy an unforgettable dining experience, well complemented by excellent table service. Dinerware makes check splitting a piece of cake. This saves a customer’s time, especially if they need to quickly pay their bill and leave for an important meeting. In addition, this software allows your customers to share items, apply payment to other users’ tickets, repeat previous orders, etc. The system also holds and releases menu items to the kitchen and offers unlimited split payments on all tickets. Last but not least, if you have more than one cash drawer, you can view the balance on each one easily. Heartland’s Dinerware offers top-tier security features to protect sensitive payment data in your network. Those worth mentioning are built-in access control, activity monitoring, and secure transactions. Because Dinerware is PA-DSS-compliant and compatible with point-to-point encryption solutions, you can rest assured that your business is PCI-compliant, and your customers’ data is safe at all times. Dinerware also offers a wide variety of labor management options. For example, it allows you to create an unlimited number of jobs, calculate overtime pay, edit time sheets and access employee databases. But that’s not all. With this smart POS solution you can communicate with your employees via internal messaging, and make online schedules. Now it will be very easy for you to calculate the hours that your staff worked during the week, track their attendance and manage the payroll. To sum up, restaurant staff management shouldn’t worry you anymore. Dinerware makes managing staff easier by saving time and eliminating the errors that inevitably accompany this process. Heartland Dinerware’s Fresh Sheet feature makes it possible for restaurants to keep track of specials or menu items. Thus, their operations run smoothly, because their customers find it easy to accurately order their item of choice. Restaurant managers enter items in small amounts or special items on the Fresh Sheet. The quantities are counting down as items are purchased, and your staff receive real-time alerts when an item is sold out. This system offers instant access to more than 80 built-in reports. These can be viewed on a screen or printed. The database stores all information permanently. Reports can be saved in PDF, Excel, CSV, RTF and other formats to facilitate easy export. Restaurant managers need fresh and accurate data, so that they can keep their restaurant profitable and competitive. Dinerware’s POS reporting gives you accurate insight into facets of your business such as sales, labor, and inventory. It also allows you to make data-based decisions that can lead to greater cost-effectiveness and enhanced productivity. This POS software streamlines business operations and automates many tasks. In this way it gives restaurant managers and staff more time to focus on their customers. Ultimately, the restaurants using Dinerware become the hottest dining spots in town. Dinerware delivers fast and efficient checkout, and makes it possible for restaurateurs to operate a multi-channel business online and in physical locations. 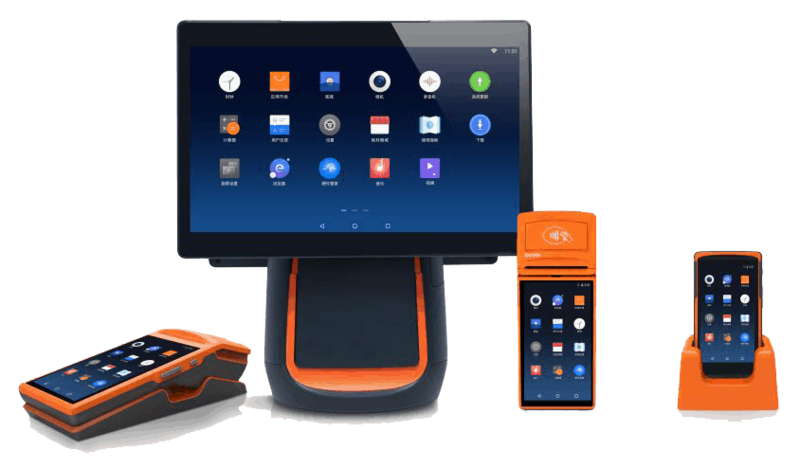 With this POS solution they can also access customer and product information from the POS system or mobile device, personalize services, or track inventory. Last but not least, they can make more effective up-sell offers, generate reports with ease, increase the productivity and profitability of their business and manage schedules. Dinerware is designed to support specific business styles and can be tailored to meet the individual needs of your restaurant. 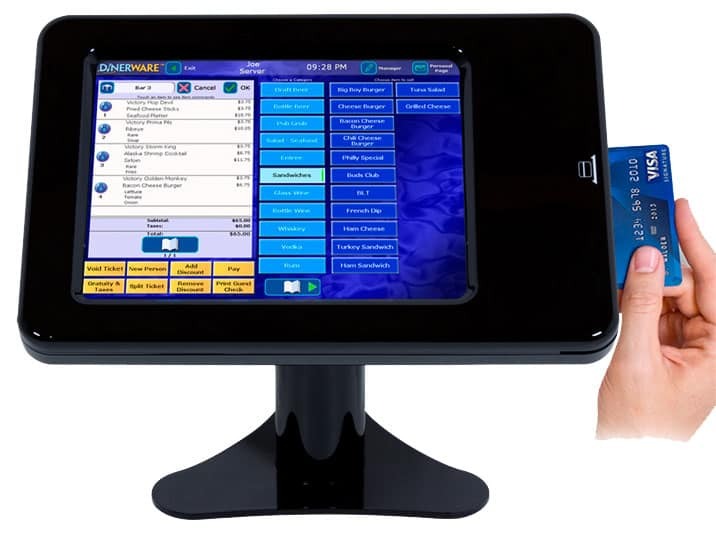 Their Cash Register Express solutions involve retail POS and tablet POS. They require very few touches at checkout to reduce waiting times and total sales quickly. The software enables users to quickly react whenever their business needs some changes, or when new features become necessary. It works equally well for single restaurant managers and franchise owners. With Dinerware, you will make more sales. 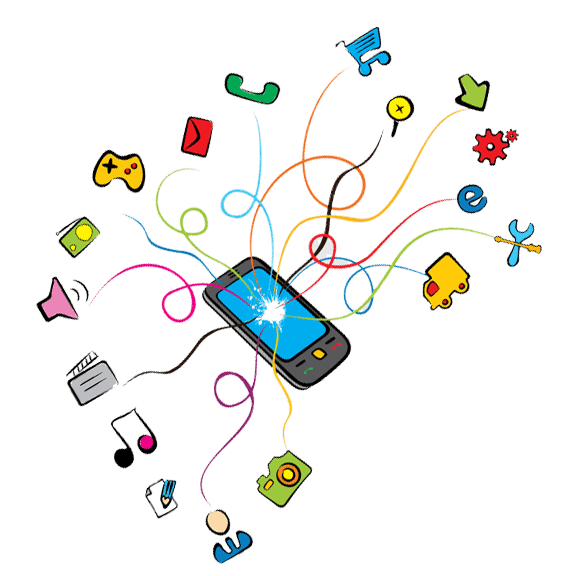 At the same time your marketing campaigns will become more effective, as will your inventory management. By streamlining administrative tasks with this POS solution, you will save money and improve the overall condition of your business. Dinerware’s detailed reports help you make better business decisions related to marketing and purchasing. All your business processes run faster, easier, and are more accurate. The inventory management feature prevents overstocking and understocking. 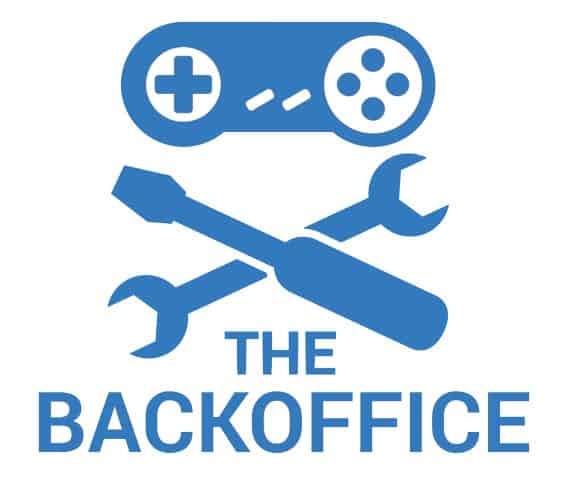 You can manage online purchases, store pickups, online orders and make accurate deliveries. The system even makes it possible to track sales tax and commissions via web portal data. This data is completely safe, because it is hosted on secure servers in the cloud. When choosing a POS system for your restaurant, it is important to go for one that facilitates ordering. You should also know how your customers prefer to order. For example, the most common ways of ordering takeout are online and by phone. Dinerware lets your customers order food and beverages via text, phone or through the restaurant’s mobile app. These ordering options are particularly appealing to teens and young adults. An intuitive, user-friendly POS system is crucial to the success of your business. The main reason to get a good POS system like Dinerware is to monitor accuracy. You don’t want to spend weeks training your staff to use it. They should learn to do their tasks intuitively and without any stress. With Dinerware, you won’t have to worry about order accuracy. The system can detect if the food is not what the customer wanted. It verifies that everything the customer ordered is present, including bread, side dishes, napkins and utensils. Before going shopping around for a good POS system, reading expert reviews like this one is not the only ting you can do. You should also try to find out if other people, who have already purchased it, are happy with their choice. In other words, it’s worth customer reviews and comments across the internet. The vast majority of users are happy with Dinerware. They find it easy to get started with it, or update their system at a later stage. What they love is that it works for businesses of all sizes. On the downside, it doesn’t always connect to other software that restaurants may use, which makes accountants’ work harder. You can now make an informed buying decision, because you have all this valuable information at your disposal.